As we get set for the big summer holiday getaway, lots of you will be either definitely making plans for, or just considering, attaching a roof rack or box to your car. Helping you better organise the belongings you take with you. So with this in mind, especially considering that many people only use such accessories for a few weeks each year, Mycarneedsa.com has compiled a list of ‘Dos’ and ‘Don’ts to ensure that you get the full benefit out of using them, but are also aware of all the potential risks and know how to eliminate them. DO think about what you’ll be carrying on your rack or in your box - To begin with, many different types of rack and box are available with specific levels of carrying capacity. However, if you need to carry heavy loads using a roof rack, you’ll find a model designed to be permanently fitted to your vehicle will be the best option - if not just because it will be less hassle, but because it’s also likely to be made of heavier and stronger materials. DO consider whether having your rack or box permanently fitted to your car will seriously impact on its performance and economy - among an exhaustive list of tips for driving as economically as possible, the AA notes: “Roof-racks and boxes add wind resistance and so increase fuel consumption. If you don't need it take it off – if you do, pack carefully to reduce drag”. So whichever option turns out to be best for you, think about how easy they will be to remove and re-fit as necessary. DO be sure to get an exact match between your box or rack and your car. Start by checking whether your car’s handbook contains any specific instructions for fitting such equipment and details of the size which is best-suited for the vehicle. Consumer advocate Which? points out that many manufacturers also overstate the capacity of their boxes, and fail to tell buyers how tall their car will be once it’s fitted - which could lead to problems if you try to drive into your garage with the box on. You also have to consider how your car will look with a box attached, and fitting a roof box which is too big for your vehicle - particularly if it protrudes over the front and potentially obstructs the driver’s vision - is asking for trouble. DO take care to load up correctly - Another important point is that loading up a roof rack or box is a little different from doing likewise with your car’s boot. When you store items outside the car, you need to be careful that the load is distributed evenly and can’t move around. You’ll find that most roof boxes are fitted with elasticated internal straps to help you secure its contents, so make sure these are used, and you take the time to ensure that they fit snugly over the box’s contents. DON’T rush the job - Every component of a roof box has a job to do, so you need to firstly ensure that they’re all present and correct when you take delivery or open the packaging after getting it home. So don’t even start fitting it until you’re sure you have all the bits, right down to the last nut and bolt. Then, when you’re putting it on your vehicle, take your time - it might be helpful to tick off every step of the job once you’re happy with it as you go along. DON’T neglect to use any locks which come with your roof rack or box - No matter how safely stowed you think your belongings are, when you’re travelling along a motorway at 70mph is no time to find out you were wrong. Boxes and roofbars can take a real buffeting at these sorts of speeds, so if you’ve skipped engaging all the locks, you’re likely to find out pretty quickly. And if you don’t lock away the contents of your roof box, you’ll have trouble persuading your insurance company that you took all reasonable precautions against losing them. DON’T overload the box or rack - Probably the most obvious on this list, but every model has a specific carrying capacity, and this will have been arrived at after extensive pre-production testing. So you should always keep a note and be aware of any maximum weight-carrying recommendations for your roof rack or bars. And while it can be difficult to gauge the exact weight of the contents of your load, it’s always best to err on the side of confining lighter items, and softer bags, to your roof box in any case, as this minimises the risk of any damage or breakages. DON’T choose a roofrack or box that you can’t easily load and unload - Some specialised types of roofrack come with integral rollers, designed for ease of loading and unloading. But these types of racks are usually intended for use on vans and commercial vehicles, so even if they fit your vehicle, you might not be able to fully use all their components as designed. Also, think about how easy it will be to load and unload any items you need to carry: this might mean that you have to restrict the weight of each item you load ‘up top’, but better that than injuring yourself doing the heavy work! DON’T be tempted to think you can drive as normal with a roof rack or box fitted - Finally, whichever carrying mode you choose, it will affect the balance and aerodynamics of your vehicle. Any time you drive with more goods on board than usual, you can expect your car to behave a little differently, not least because that extra weight will be felt through the vehicle’s steering and handling. Most importantly, you will need extra distance in which to stop safely because there’s a higher risk of losing control with the extra weight on board. All that said, roof boxes and roof racks are purposely-designed and proven ways of safely transporting a variety of goods. In order to keep their contents and you and your passengers safe while using them, however, it’s important that you bear all the above points in mind. And just as importantly as the mounting of your roof rack or roof box itself is the way you load it, as detailed in the last of our ‘Dos’ above. Ultimately, you should never rush either fitting or loading a roof rack or roof box, but if either is used properly, it can be a very valuable source of extra load space. Finally, you also need to check whether your insurance company covers you while driving with a roof box or roof rack. This is especially important because many don’t consider them to be secure, and you may need to take out extra cover. Even after considering all these factors, there’s no escaping the benefits that can be gained from fitting either accessory to your car. Just be sure to follow all the fitting instructions, and our tips for their correct use, and happy holidays and leisure trips are assured. 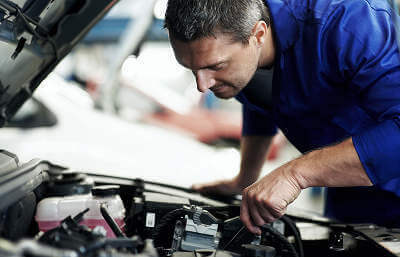 Whatever help you need with either the supply or fitting of accessories and new or replacement parts for your car, be sure to get a quote for the job from Mycarneedsa.com, where trusted specialists will guarantee a good job at a fair price.